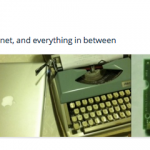 Scott Dexter: Intersections of CUNY History & Open Source Tech. 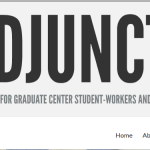 Check out Mediated, one of the oldest active blogs on OpenCUNY, where alum Dr. Kiersten Greene writes on the intersections between digital research and pedagogy. Like the CUNY Adjunct Project, you can use OpenCUNY to spread the word about events and activism! 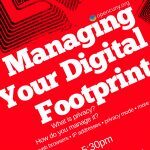 Create your digital presence on OpenCUNY like alum Dr. Edwin Mayorga. 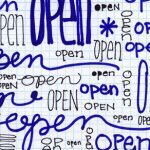 Email OpenCUNY Coordinators to learn more about building your own site. Various Graduate Center programs have built their sites on OpenCUNY. Current and prospective students are able to easily access program and event information. 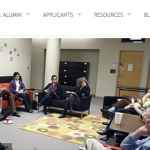 The Doctoral Students’ Council hosts several committee websites on OpenCUNY.org. 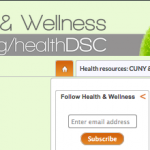 Click to visit the DSC Health and Wellness site.